At the Sao Paolo Motor Show, Ford has revealed its Fiesta Saloon facelift. Front fascia has been redesigned which contains revamped headlights, new bonnet and re-profiled front bumper. Also, there is a major change in the design of the fog lamps. These changes have made the Ford Fiesta Saloon facelift look really stylish and handsome from the front. The rear has also been improved vastly. In the rear, a black splitter at the bottom has been placed which reduces the affects of visual mass. The current model has smaller taillights which spreads the lights all the way. Ford seems to have done a good job with the facelift since it has changed the entire look of the car and the car looks amazing. It seems to be a big change for India. 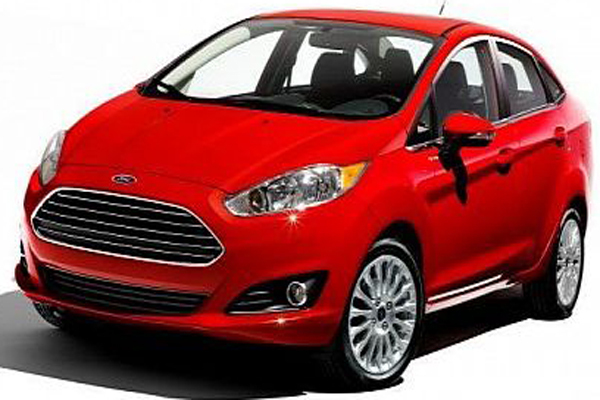 People who want sporty look or style within budget, the Ford Fiesta facelift would be the right choice for them. The car will be made available in two engine options – a 99bhp for economy sensitive and 123 bhp. The facelifted Ford Fiesta saloon is expected to come in early next year. You will be glad to know that much awaited Ecoboost engine will be developed in India under the bonnet of EcoSport Compact SUV. The newly developed engine will be marked with Ford’s Eco powertrain technology. The new and small size Ecoboost engine comes with turbocharging technology, which is developed at Ford’s Dunton Centre in UK. An improved twin variable camshaft and direct injection have been designed to deliver performance accordingly. The company has devises to manufacture 6,00,000 engines in India. Out of the produced engines, 60% be used for the Indian market and the remaining will be exported.